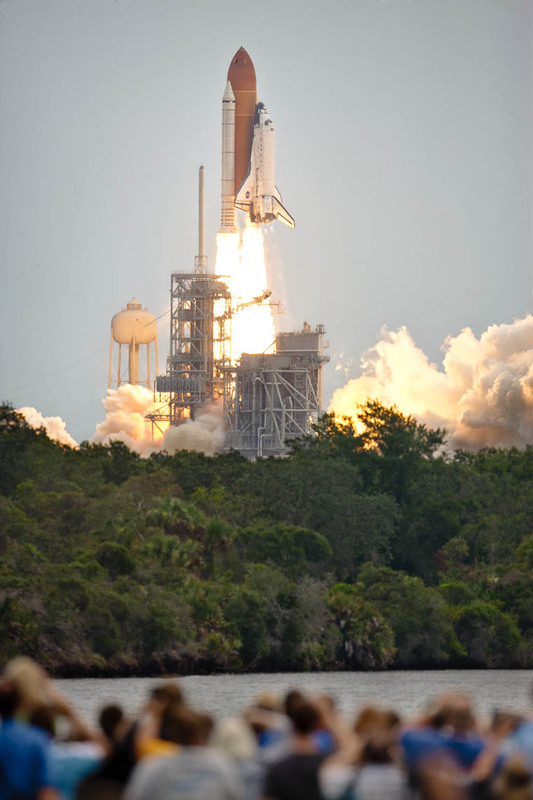 We have lift-off at 8:29 am, Eastern Daylight Time on July 8th, 2011. Despite fears of a weather delay from a system of storms to the south, the space shuttle Atlantis makes a timely departure from the Kennedy Space Center in Florida and thus begins the final mission of the 30-year old Space Shuttle Program. Some estimates suggested over one-million visitors had converged on the Titusville area to watch this last launch.